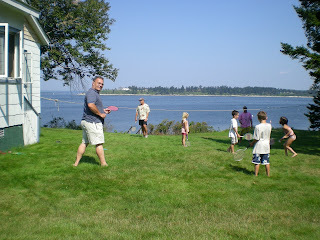 We were invited to go to Cliff Island off the coast of Maine for a visit when Melissa and her family rented a house there for a week. 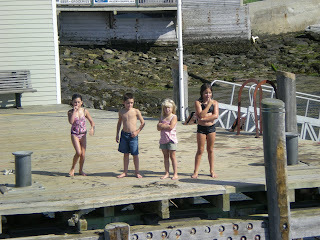 This is a picture of the kids waiting for the ferry boat to arrive. They were so excited to see us that they starting yelling Papa Nana. Everyone on the boat said boy are you guys loved. We of course said yes we are. 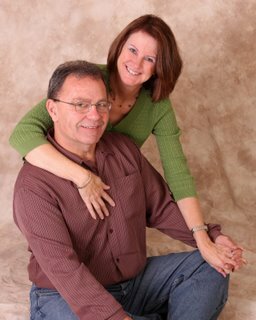 It was Melissa, Bob, Abby, Ryan, Matt and then Bob's sister Carolyn's family. It was really fun and I look forward to next summer. 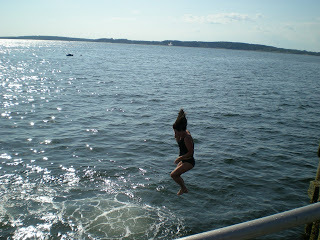 Melissa jumping off the pier. 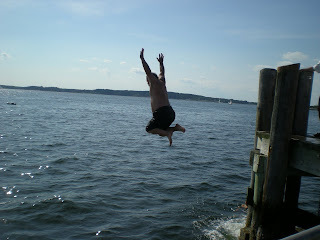 Papa jumping off the pier after the ferry boat left. 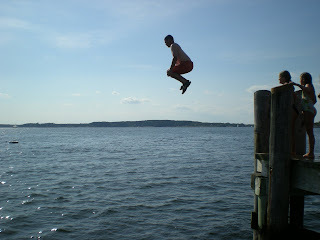 It looked like fun but I didn't bring another change of pants so I just took all of picture. Everyone waiting in line. 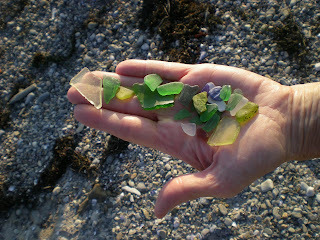 This was the first time that I collected sea glass. I had a hard time seeing it among the rocks but Missy helped me to pick them out, and soon I got the hang of it. We have this picture in our bathroom along with the sea glass in a shell. 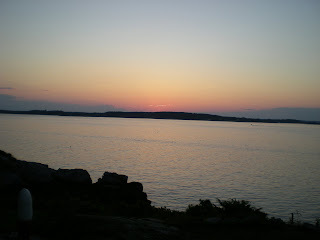 The sunset was so pretty what a fitting end to a wonderful day. I am so glad to be here on this beautiful earth. It is nice to be at the ocean again and hear the waves and smell the salt air. The grandkids and papa took on Bob and Jon with some of the other grandkids in badminton I am not sure who won this game or if everyone just got tired of playing. Some of the grandkids are really good at this sport. 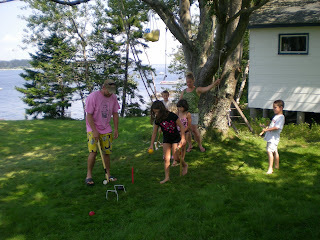 They also played croquet. It was just about time to head to the boat so we only played a short game. But I think Papa was winning at the time we had to leave. 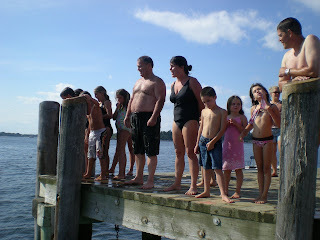 When we left they all came to the dock and told us good-bye. We had such a great time with all of them. It was fun to get to know the grandkids better. 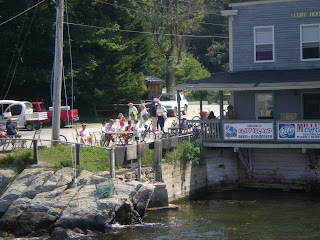 I love the island and look forward to next year. Beautiful pictures! The sea glass is really neat. It looks like you had alot of fun!